This week we discussed some of the major issues touring artists encounter with Managing Partner of TMG, Paul Talbert! Take a look at this Q&A and discover how TMG helps artists overcome these issues and ensure safe travels! With The United States of America hosting some of the largest music events in the world, what are some major issues festival and event promoters run into when bringing over international talent to play? What kind of financial repercussions might accompany such challenges? A. They have to see if that Artist is even able to enter the United States to perform. All foreign entities (i.e. Artists) are required to apply and get approved for a Visa before they are able to enter the United States for a paid performance. 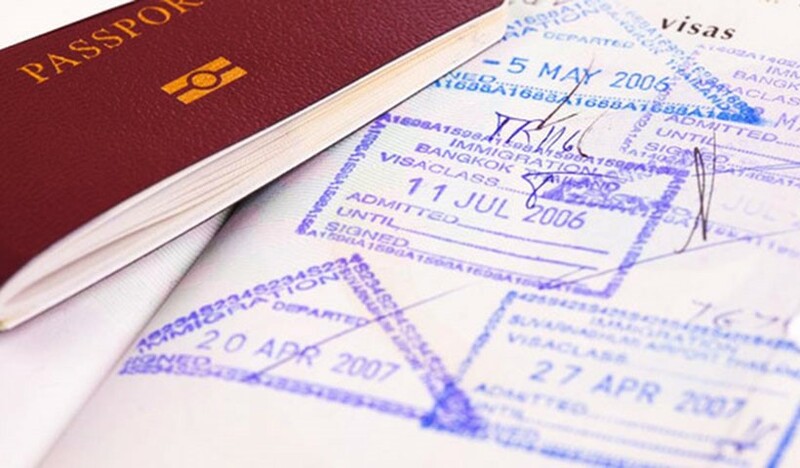 There are many different types of Visas, but the main two types of Visas that are commonly used are O “Individuals with Extraordinary Ability or Achievement” and P “Artist or Entertainer Coming to be Part of a Culturally Unique Program” Visas. These Visas are issued by the USCIS “United States Citizenship and Immigration Services”. This process can take anywhere from 4 weeks to 9 months or more depending on the type of Visas and or requirements needed to receive approval. Failure to comply with these laws can cause Event Providers to be subject to Civil fines, Criminal penalties(when there is a pattern or practice of violations) and fines starting from $110 per violation to as much as $16,000 or more per artist. The Promoter and or Venue compensating the Artist for their performance will need to obtain a completed and executed W-8 Ben Form. This form is used to determine the type of withholding that is required for United States Taxes. This is extremely important for the Event Provider as the United States Municipalities will hold them accountable for not actually documenting the Artist Tax Forms and withholdings. The Event Provider will need to enter into an agreement with the Artist and or Artist Representative to perform at the event. This will require making sure that the Artist and the Artist crews and or production team has the proper insurance coverage and negotiating the other ancillary costs for the Artist (i.e. Travel Cost, Lodging Expense, Hospitality Riders and Technical Riders just to name a few). Where are areas that are of most difficulty for visa applications? Multiple entries, multiple countries? Where do most applications tend to get stuck? A. The toughest part I believe for Artists is coming up with the published material in professional journals or other major publications, newspapers or other major media about the beneficiary’s work in the field for which classification is sought. Especially for newer Artists that don’t have a track record and or a lot of press yet, it is difficult to present a case for that artist’s need to be in said country. Another challenge involved with obtaining a Visa is the amount of time it may take to proactively seek the evidence and endorsements from industry professionals. It is crucial to have a plan in place and plenty of time between when you start the Visa application process and when your first performance in said country is. It is this stage where applications tend to get stuck as you are looking to receive information, materials and documentation from multiple people that all have very busy schedules. What are some ways that TMG has aided in the artist visa process? What are some of the benefits TMG provides to artists working through them throughout this process vs. individually? A. TMG is able to look at an artist’s profile and determine exactly what is needed to present the best scenario/case possible. In order to boost the application, TMG will work with its extended network to provide key pieces of evidence and material through referrals, endorsements and record label/publishing deals. We also go through your previous works, performances, accolades and more to essentially create a package that tells a compelling story as to why the artist will need this accreditation. Even once an artist’s credibility is proved through that material, a detailed itinerary of your time in the country must be documented with supplemental evidence provided. TMG has a network of partners that include some of the World’s top 100 clubs that we utilize to help book out an itinerary for your time spent in the USA whether it’s for a 1-year Visa or 3 year, we use performances, PR opportunities and Studio Days to ensure your calendar is more than full! Once TMG has prepared all of the materials, we handover to our Attorneys who verify the complete application package before submitting for approval. For more information on the types of services TMG can offer and how we can assist you with your artist Visa, check out our Services page here!